Stream anime episodes online for free, Watch One piece Episode 162 English version online and free episodes. 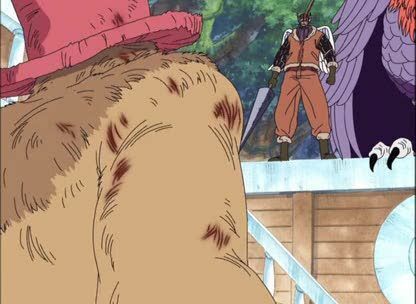 Anime Episode guide One piece Episode 162 English dubbed Chopper in Danger! Former God vs. Priest Shura! Chopper, threatened by priest Shura, blows the whistle for Gan Fall to come, but before he can arrive, Priest Shura assaults Chopper and begins destroying the Going Merry.